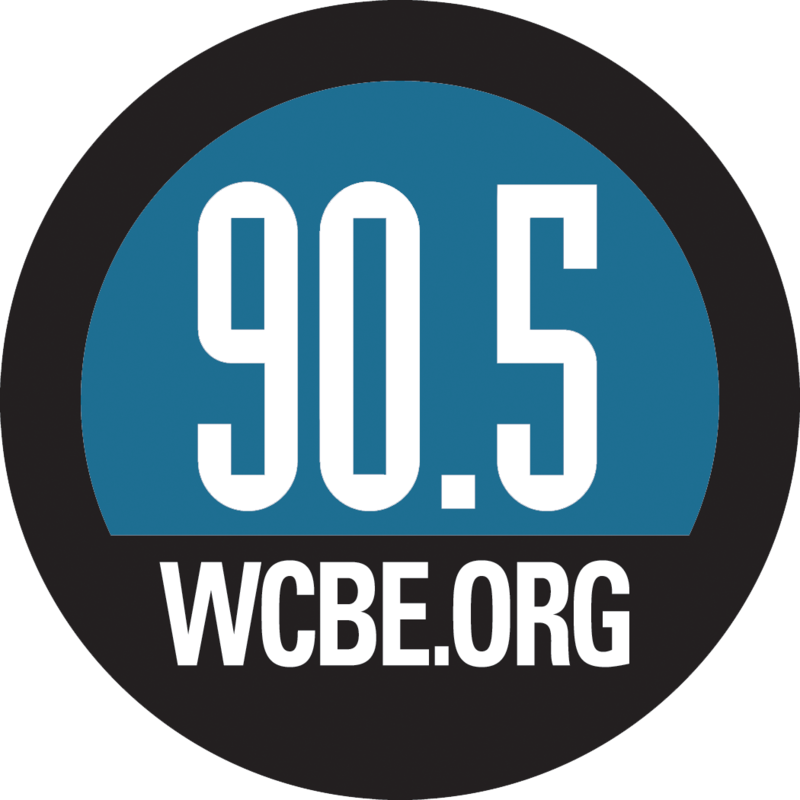 The campaign troubles of Democratic gubernatorial candidate Ed FitzGerald have gotten the attention of undecided voters and third party officials and supporters. Last year at this time, both the Tea Party and the Libertarian Party of Ohio were planning their options for the 2014 election for governor. 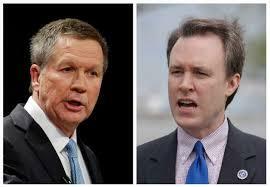 Neither wanted Republican John Kasich re-elected, and neither wanted to support Democrat Ed FitzGerald, who had launched his campaign a few months earlier. Charlie Earl announced he was running for governor as a Libertarian last September. But he’s been tossed from the ballot because of petition signature problems. The Libertarians are still fighting that in court, and Earl says in the meantime, he’s been talking to the voters he was hoping to bring in – irritated and indifferent independents, disaffected Democrats and resentful Republicans. Ohio Tea Party members are now planning their annual convention in Columbus next month, and are focusing on recruiting candidates to run in elections next year and in 2016. Portage County Tea Party executive director Tom Zawistowski says he has little in the way of advice for Tea Partiers in this year’s election. But while both Earl and Zawistowski say they’re concerned about what happens this fall, they’re also worried about the long term. The Libertarians are not just challenging this fall’s decision keeping their Earl and another candidate off the ballot – they’re also battling a law signed last November that kept minor parties off the primary ballot and changed their signature requirements, which essentially kept them off the fall ballot as well. Earl says that legal process has been dragging on for a while. And Zawistowski says he’s also worried that the outcome of this fall’s election will convince Kasich’s supporters that a path to the presidency is ahead of him – and that Kasich will say that himself. Both Earl and Zawistowski also say they’re concerned about the effects of the FitzGerald on future candidates, who they admit might shy away from running for office because of revelations about past problems. But they also say that politics can be a dirty business, and that would-be candidates need to be prepared for it. 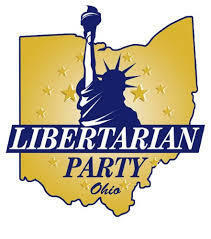 The Libertarian Party is holding it's national convention in Columbus this week. The U.S. Supreme Court has declined to hear an appeal by the Libertarian Party of Ohio trying to get gubernatorial candidate Charlie Earl on today's ballot. Ohio Libertarians continue to fight for ballot access for their gubernatorial candidate after another legal defeat at the U.S. Supreme Court. The Libertarian Party of Ohio has appealed to the U.S. Supreme Court after a lower court denied its attempt to get a gubernatorial candidate on Tuesday's primary ballot. Democrats have always hoped for a strong anti-incumbent sentiment in this year's gubernatorial election. There was a little of that at a very small campaign stop for Republican Governor John Kasich yesterday near Dayton. Cedarville University has fired one of the May 6th primary challengers to incumbent Republican U.S. House Speaker John Boehner of Ohio. The day after he filed his paperwork to officially run for re-election, Governor John Kasich spoke to a group of newspaper professionals in Columbus yesterday. A top Tea Party leader has some harsh words for a conservative blog after it reported about a possible challenge to Governor John Kasich in the Republican primary. 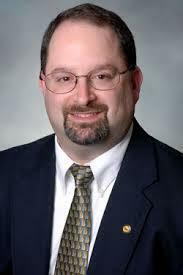 Ohio Tea Party activist Ted Stevenot says he will not challenge Republican Governor John Kasich in the GOP primary. Republican Governor John Kasich continues to campaign throughout Ohio and ads for him continue to air on television statewide. 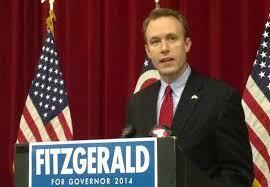 After weeks of bad headlines, low poll numbers and disappointing fundraising, there is now a shakeup in the campaign of Democratic gubernatorial candidate Ed FitzGerald. 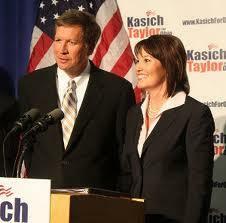 Democrats are now filing a public records lawuit suit against Republican Governor John Kasich. 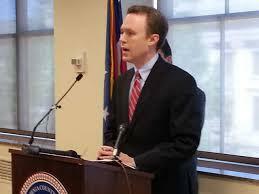 Ohio Democratic gubernatorial candidate Ed FitzGerald continues to trail incumbent John Kasich in the polls and fundraising. Trailing in fundraising and name recognition, Democrat Ed FitzGerald's gubernatorial hopes were a long shot before a potential scandal broke last week.